Hometown Community Bank offers a variety of checking options to fit your personal needs. Our loan officers can assist you with your borrowing needs. Hometown Community Bank knows that at the heart of every community are the merchants who live and work there. 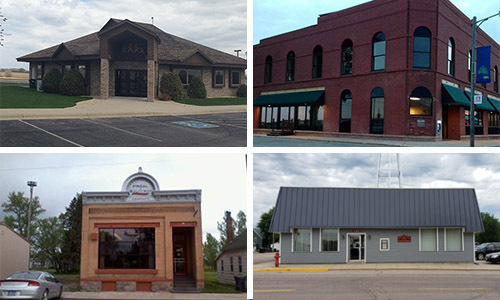 Founded in 1901, the Hometown Community Bank has weathered the test of time. While many institutions have come and gone, our Company remains financially safe and sound. We are passionate about what we do and how we serve our customers. It is our desire to continue to meet your financial needs today, tomorrow and far into the future. We welcome you to our online banking resource. Our bank is expanding and our website has a new look! Browse around and let us know what your think. We strive to give you the best service possible. We have many new products – and we are excited to you about them! 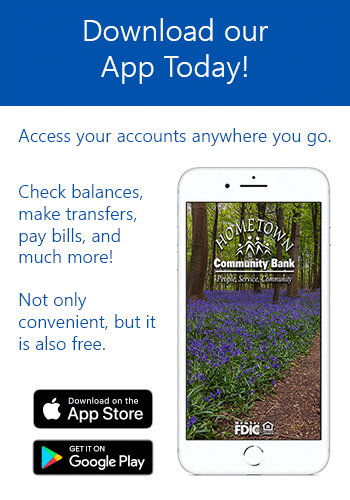 Find out what Hometown Community Bank can do for you.